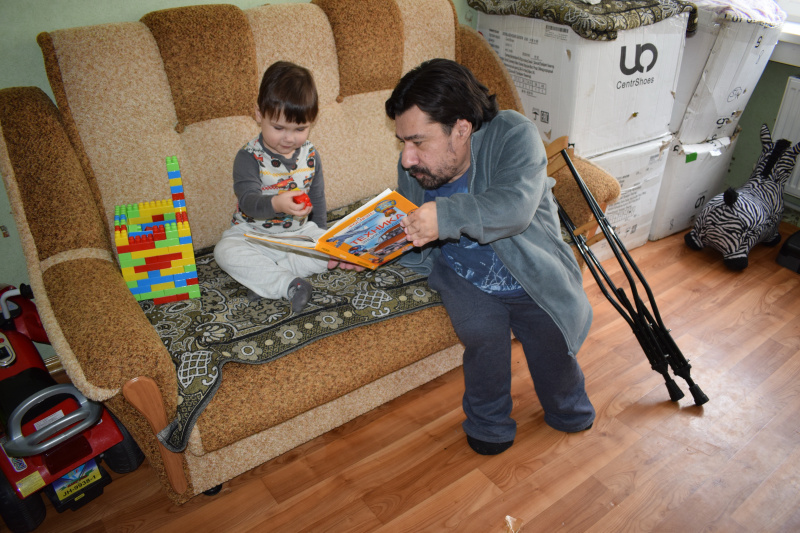 47-year-old Aleksey Kalandarov from Borisoglebsk is a little more than 110 cm tall. He has had more than 10 surgeries has been moving with crunches his whole life. At the same time, the man is a practicing lawyer, a public figure, the author of “Invalidov Net” (“There Are No Invalids”) project, and a happy husband and father, which makes him feel especially proud. 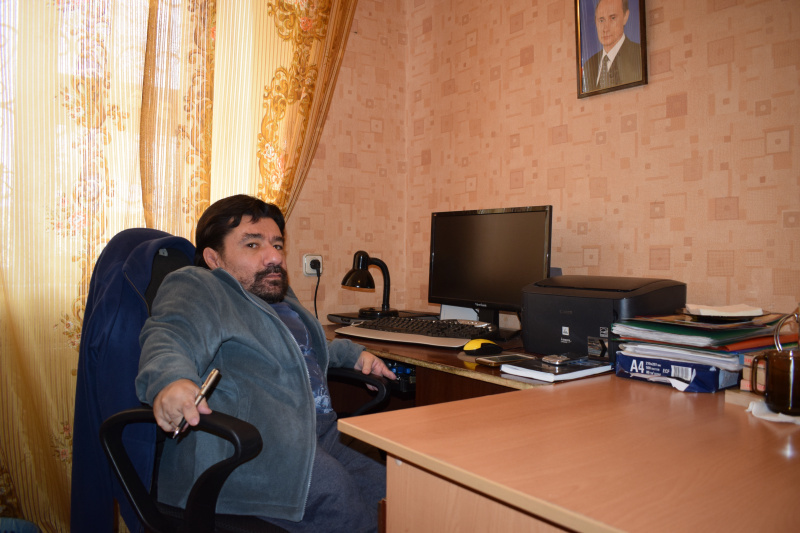 Alexey Kalandarov is sure: disabilities are only in our heads. The story of a little man in the big world is in the RIA Voronezh material. Alexey was born in the family of a military man and a housewife. From the first minutes after his birth, it was clear that the boy was special. He was born with numerous dislocations of joints. His parents traveled around the Soviet Union to find a hospital where they could help the baby. But it was all to no avail. When Alexey was five years old, he went to the Leningrad Medical Research Institute, where a special long-term treatment program for such patients was launched. This was the last hope for the family. – My father brought me to the institute in his arms, handed me to the doctors and said: “I will not take him until you heal him”. I remember that very well, confessed Alexey. – I lived alone in the medical center from five to eight years old. My father came to me once a year. The boy prepared for numerous operations and recovered from them himself – certainly, under the supervision of specialists and surrounded by other special children. – A lot was made for us there, Alexey Kalandarov admitted. – We studied, listened to good music, played. There I was taught to walk on crutches, before that I just did not know how to do it. Three years later, my mother arrived and took me. It was exciting to return after three years in the specialized hospital where everyone was a friend to you to the world of ordinary people. However, the boy with a quick mind and a huge desire to communicate found friends quickly. – Despite my crutches, I ran almost equally with the guys, Alexey recalled. – We played football. When we grew up, we began to take up strength sports. We pulled up weights, made push-ups. Nobody made allowances the fact that I am disabled. You know, I notice that I have to remind to many of my friends: “Guys, I can hardly walk.” And they fall silent, it brings them into a stupor. Alexey was a home-schooled student. He no longer remembers why: either it was customary, or the parents protected the boy from child cruelty, or maybe they were frightened by dangerous steps at school. A couple of years after receiving his school certificate, the guy wondered what to do and how to realize himself in society. – I dialed the Employment Center number, explained the situation, and they helped me, said Alexey Kalandarov. – I was invited to the Voronezh Regional Model Center for Vocational Rehabilitation and Employment Promotion, where people with disabilities were taught the basics of various professions. We were all tested, I appeared to have the highest IQ and was sent to computer operators courses. There I first got acquainted with the Internet. The training in Voronezh took almost a year. During this time, Alexey managed to participate in the regional game “What? Where? When? ”among people with disabilities, to become the best player and get an invitation to study at the VSU for free. – But there were no examples in my immediate circle when people like me studied at a university, and I did not dare, Alexey admitted. – However, I came home like a king. I had a certificate, super knowledge. I was self-confident. However, everyone to whom I applied for a job denied me. The family helped him. His brother and sister – there are four children in the family of Kalandarovs – chipped to but Alexey a computer. First, the young man worked as a tutor, taught adults and children basic computer skills, then got a job with a local entrepreneur as an advertising manager. And he began to make good money. – I had pots of money, the man said. – Almost every day I went to the pubs and had fun until the morning. After another booze, depression began. I was bored with living, I quitted my job. At one moment, I began to wonder what the main thing in life is. Just at this time, when I lost money and work, Oksana appeared in my life ... as a guardian angel. Alexey confessed that he experienced love at first sight. However, Oksana found a deep feeling after a long communication and messages. – I loved him for his intellect, the spouse does not hide. They looked at each other for a year, and then realized that they could not fight the fate. The desire to be together was so strong that the young people rented an apartment without furniture and slept on the floor for a long time. Over the years, the relationship of the spouses became even more tender and stronger. – We are real friends. We have common interests, we are everywhere together. Yes, we even think the same way, said Oksana. The Kalandarovs could not have a baby for more than 10 years, so they found the birth of their long-awaited son a miracle. – At 45, I had a firstborn, Alexey said proudly. – When I heard about his birth, I even burst into tears. Emotions overwhelmed. The Kalandarovs decided to give the boy a royal name – Arthur. At the same time, his father tries to raise him not as a capricious and beloved boy, but as a hard-working and curious individual. – What is important to give the child? Not land, money, bank account. You need to give him so much that he can come to any place on earth and always find himself, the father of the family judged. About ten years ago, Alexey became interested in jurisprudence, received a law degree. Some time later, he opened his legal advice office. He began to help those who got into a difficult life situation for free. In 2006, Alexey created “There Are No Invalids!” non-commercial project. He launched a website with useful links to laws, legal education for people with disabilities, and even a group for dating. – I have always had the need to help and support others, said Alexey. – And with the website, I became so involved in this, that people from various cities began asking me for help. Some people needed a ramp, others needed to raise money for a surgery and medicine, someone just needed moral support. I almost always managed to help. Unfortunately, a month ago, I was unable to pay for the website due to financial difficulties, and it was closed. Alexey hopes to revive the website in order to continue helping those who have not yet managed to believe in themselves.